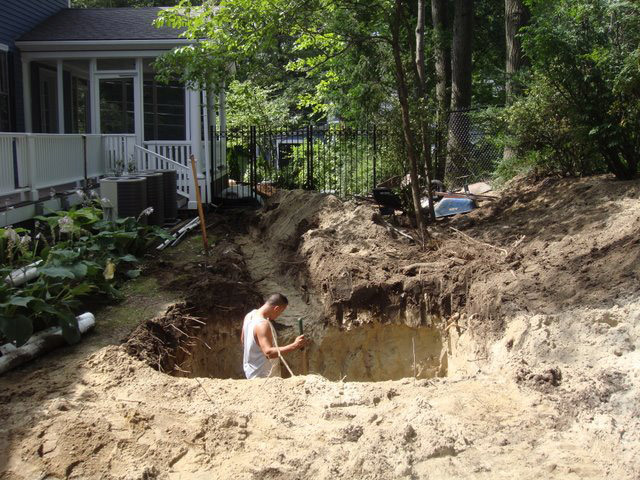 NEWTON — Nawada Landscape Design, Inc.
Our client wished to reduce their carbon footprint and address the problem of excessive rainwater run-off. 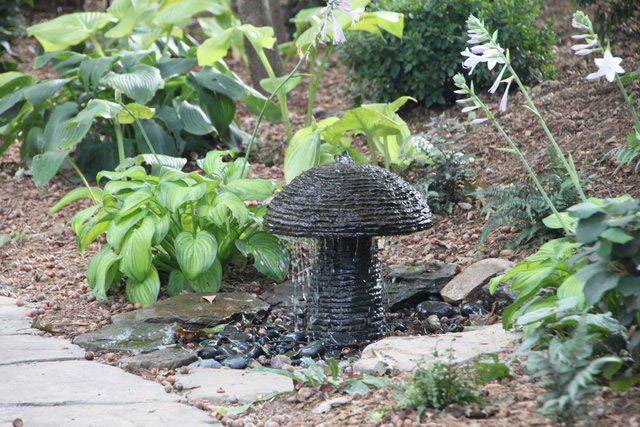 The Rainwater Harvesting system we installed combines natural stone water feature that recirculates the captured water with a sub-surface rainwater harvest storage system. All rainwater is collected from the downspouts attached to the roof and through the permeable pavers that were installed as the driveway surface. To recycle the water, this system is connected to the irrigation system. When the water is depleted from the sub-surface tank, a floatation device switches over to the municipal water source. In the rear of the property, hillside plantings, boulder retaining walls and a butterfly garden create the backdrop to the client’s swimming pool. Curved fieldstone walkways reach out into the garden, connecting a network of outdoor spaces. Terraced retaining walls along the front of the property created a level surface for the front garden.